Syria's top news personality, Ola Abbas, who defected to the rebels a month ago, described the government's propaganda machine to Der Spiegel. What makes the defection all the more damning is that Abbas is an Alawite. The word "demonstrators" was prohibited in the media from the start. Soon there was no longer just talk of "people who are going into the streets to cause chaos," but also of "armed groups," "conspirators" and, finally, "extremists, Islamists and terrorists." The uprising was dubbed a "conspiracy" and the revolution a "crisis." As the rhetoric escalated, so did the conflict . . .
She obediently quoted SANA, the Syrian state news agency, which she says gets its information directly from the information office at the presidential palace . . .
One day the secret police came and took away a colleague who had filmed a pro-Assad demonstration in way that made it obvious that hardly anyone was there. Abbas hasn't seen him since. And still she said nothing . . . Unless circumstances change dramatically, it'll be a long time till any Western reporter bothers meeting Bashar Assad. The last two Western reporters of note to interview him both wound up apologizing, albeit for different reasons. 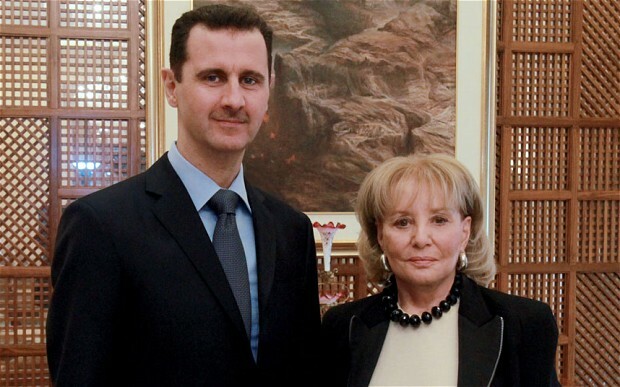 The mea culpas from Barbara Walters and Joan Juliet Buck (formerly of Vogue) said a lot about Assad's propaganda machine. But the defection of Abbas — an insider — is a big hit for the Damascus spinmeisters.